Bergamot essential oil has a delightlyfully fresh, citrussy aroma, which is almost universally liked. This oil is valuable in treating urinary tract infection, depression and anxiety, and used in skin care. It can be added to the bath, and used as a local wash, it relief of vaginal itching and mild discharges. Psychologically, Bergamot is uplifting, clearing and relaxing oil, it can be used in massage oil for tense, anxious or depressed peoples. It can be used in facial massage oil, cream or lotions for treating acne, oily skin and all infected skin conditions. German Chamomile has a long-standing medicinal tradition, especially in Europe for all states of tension and the visceral symptoms that can arise therefore, such as nervous dyspepsia and nervous bowel, tension headaches, insomnia and sleeplessness. This oil also useful for all children's conditions, calming without depressing. It also has an excellent skin care remedy; it has many of the same qualities as Roman Chamomile, except that its anti-inflammatory properties that is greater due to the higher percentage of chamazulene. Roman Chamomile is very helpful with dermatitis, acne, herpes and hypersensitive skins as well as allergic conditions generally, smoothes out broken capillaries and improving elasticity. Good for dry and itchy skin, eases puffiness and strengthens the tissues, can be used as an excellent skin cleanser. This is very soothing oil easing anxiety, tension, anger and fear. Promotes relaxation, gives patience, peace and allays worries. Calms the mind and is often helpful with insomnia. Blend well with Geranium, Lavender, Marjoram, Neroli, Patchouli and Rose Otto. Eucalyptus Radiata is native to Australia but also widely grown in Madagascar. The essential oil has similar properties as Eucalyptus globulus oil but less intense and milder. It has a powerful antibacterial, antifungal and anti-infectious action, which makes it very useful for all types of infection. When vaporised, its decongestant action helps to clear sinusitis, a stuffy nose or relieve chestiness, as well as helping to stop coughs and colds spreading. It also makes a highly effective insect repellent. The most suitable Eucalyptus Oil for using with children. Juniper berry is purifying essential oil. On a physical level, this quality manifests as a powerful cleansing and tonic action, making juniper essential oil good in lymphatic drainage massage and in helping the body to eliminate toxins. It is also excellent when used for psychic and spiritual purifying. Juniper helps to alleviate nervous tension, intellectual fatigue and anxiety. Juniper is good in skin care, especially for oily skin with acne problem. Juniper is purifying, clearing and fortifying. It is good in meditation by using with burner. Lavandin is a hybrid between True Lavender and Spike Lavender. The yield of this oil is normally 2-3 times higher than True Lavender that cause the oil is much cheaper and now is increasingly cultivated. Should not be confused with Lavender, Lavandin is not suitable for skin burn treatment just like lavender due to high content of Camphor and Eucalyptol. It's good for refreshing in the bath for respiratory system and very effective as an inhalation for colds, catarrh, sinusitis and clearing headaches. It's also good for muscular pain and stifffness. Marjoram has a calming effect on the nervous system, relieving anxiety, stress and perhaps deeper psychological traumas. It strengthens the mind and helps to confront issues. May gives a feeling of comfort in cases of grief and loneliness, since it has a warming effect on the emotions. Excellent for hyperactive people and is a good tonic to the heart and seems to lower high blood pressure. Its generally relaxing effect is helpful for headaches, migraines and insomnia. Blend well with Cypress, Lavender, Orange, Rosemary and Ylang Ylang. True Melissa is one of the best essential oils for curing shock, depression, grief and anxiety. It enhances life, gladdens the spirit and chases away dark thoughts. It helps you find inner contentment by calming a troubled mind, strengthening the emotions and surrounding you with joy. Melissa has been called the "elixir of life", which admirably describes this lovely essential oil. Psychologically, Melissa is sedative and deeply calming. It strengthens the heart chakra and inspires universal love and divine joy. Overall, Melissa is revitalizing, uplifting and fortifying. Oregano has been used as a traditional remedy for digestive upsets, respiratory problems, colds and flu as well as for inflammations of the mouth and throat. The diluted oil has been used externally in herbal medicine for headaches, rheumatism, general aches and pains, and applied to strings and bits. The oil is also used as a fragrance components with a warm, spicy-herbaceous odour. Anyway, it is a powerful emmenagogue which must be avoided during pregnancy. 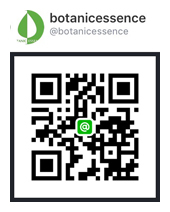 The Oregano essentail oil should be used by professional only. Sage originated in the Mediterranean basin both wild and as a garden plant like most of our culinary herbs. It is singularly good for the head and brain, it quickeneth the senses and memory, helps those suffering from excessive sexual desire, grief, physical overexertion, and insomina and it encourage inward focus. Sage oil reduces perspiration, oily skin and hair, and acne, and is said to encourage hair growth. It also treats insect bites, boils, and bacterial skin infections. Anyway, Sage oil contains high ketone, it must be under professional use only. Thyme is native to Mediterranean. It's very useful oil for digestive stimulant, treating sluggish digestive system and gastric infections. This oil is also traditional use in treating colds, coughs, sore throats and all respiratory or mouth and throat infections as mouthwash and gargle. It can be used as an inhalation for nose, throat & chest infections. Thyme is used in baths to help insomnia with its balancing effect. It is sometimes used for hair rinses, compresses for sores and wounds. 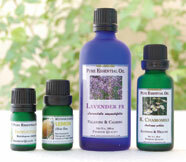 Thyme oil blends well with Rosemary and Lavender. This is Vanilla absolute extracted from the beans of Bourbon Vanilla that originally grown and cultivated in Madagascar Island. The absolute has viscous dark brown liquid with a rich, sweet, balsamic odour. It is suitable to use as a fragrance ingredients in high-quality natural perfumes, especially oriental type perfume. Our Vanilla Bourbon Absolute has Vanillin content more than 3%. Blend well with Eucalyptus, Sandalwood and other spice oils. Recommend concentration level of 100% absolute is 0.01-0.5% in perfumery and 0.1-10g in 10kg of food and flavour.